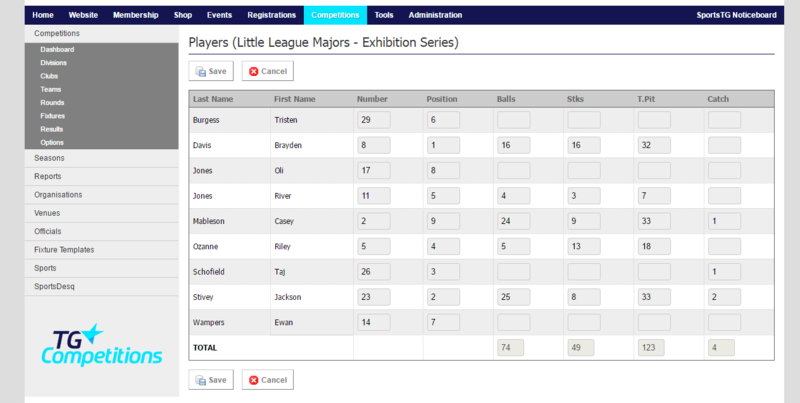 When setting up a sport, you are able to set up standard player statistics and competition administrators are then able to enter these into the Management Console through the Results area. This allows administrators to track individual player achievements as well as team ones. 2. Select the relevant competition from the listing, then RESULTS from the expanded left menu. 3. Click the VIEW icon next to the relevant match. 4. Go to the PLAYERS tab. 6. Select EDIT on the page. 7. Next to each player's name you can then enter their Position and Number, as well as enter their match statistics based on the Player Statistics available for that sport.